This presentation describes the development of a well-site automation system consisting of an open data aggregator, with networked surface and downhole sensors and real-time applications for process monitoring, advice and control. The promise of drilling systems automation is to increase well construction efficiency, delivering quality wells in a safe, reliable and predictable manner. This promise is achieved in part by creating a digital infrastructure that extends vertically from the drill bit to the remote enterprise, and horizontally from exploration to production. Critical to the success of automation is the unimpeded flow of quality data through this infrastructure. This presentation describes the development of a well-site automation system consisting of an open data aggregator, with networked surface and downhole sensors and real-time applications for process monitoring, advice and control. Mr. Brackel oversees the systems and software architecture of the Baker Hughes’ drilling automation system. He has over 25 years of experience in the oil & gas industry, with expertise in MWD development, rig-site acquisition and control systems, and Systems Engineering. He is an active member of the SPE DSATS community. Mr. Brackel holds a diploma in Electrical Engineering from the Technical University of Braunschweig, Germany, specializing in digital control systems. Nick has worked for NOV since 2006. His career began as an applications engineer designing floating rig and jackup drilling systems; working closely with operators, drilling contractors, and shipyard partners. Since 2010, he has held various business development roles with NOV, most recently as commercialization director for new digital drilling products. Nick holds a masters degree in technology commercialization from the University of Texas at Austin and a bachelors degree in mechanical engineering technology from Texas Tech University. Dozens of leading studies (IPCC, governments, think tanks, NGOs) analyze what needs to be done to manage climate change risk and limit global temperature rise to 2C or 1.5C by 2050. ERM has reviewed a range of these studies and found that Carbon Capture and Storage (CCS) arises in all of them as a key response option necessary to achieve the outcome. ERM will summarize the energy transition pathways suggested by such studies, highlight the role of CCS in them and contrast that outlook with the status of CCS today. Mr. Solsbery joined ERM in London and over 18 years worked from the U.K., Singapore, Norway, Netherlands and now Houston, Texas. He has provided climate risk advice to industry clients in oil & gas, mining, power generation, cement, transportation, pulp and paper, agriculture, energy-intensive manufacturing as well as multi-sector conglomerates. Lee was one of four ERM co-authors of the TCFD Technical Supplement on Scenario Analysis to assess impacts of different energy transition pathways. Among other projects, he is currently supporting oil and gas firms on Marginal Abatement Cost (MAC) analysis of CO2 reduction options, scenario analysis to model climate risk and regulatory issues for carbon capture and storage (CCS). Lee served four terms on the Board of the International Emissions Trading Association (IETA) and one term on the Technical Advisory Group to the World Bank Prototype Carbon Fund. Lee previously worked nine years at the International Energy Agency (IEA) in Paris where he was: Energy Policy Desk Officer for four IEA countries, then Executive Assistant to the IEA Executive Director, then Division Head for Energy and Environment where he co-founded and co-managed the OECD/IEA UNFCCC Climate Experts Group. He led the IEA’s input to the UNFCCC and IPCC and other international bodies dealing with climate change. He has participated in the Rio Earth Summit and in 19 of the 24 UNFCCC COPs to date. Over the years that Shell has operated in Deepwater globally, extensive experience has been gained on the performance of flow assurance management methods and tools that were designed for previous projects. At the same time, the understanding of various flow assurance related solids risks and predictive methods associated with them have also taken a big leap forward through technology development. Multiple flow assurance technology developments have also been tested and validated through various field operations. FA risk management and associated design for recent projects have utilized the operating experience and technology developments made by Shell. Senior Flow Assurance Engineer, Shell International Exploration and Production Inc.
Dr. Ramanathan is a Senior Flow Assurance Engineer for Shell International Exploration and Production Inc. based out of Houston, Texas. He has over 13 years’ experience with Shell in various roles spanning technology development and deployment, asset support, and project design for Deepwater. He is currently the Subsea Flow Assurance and Pre-Commissioning Lead for the Vito Project in Gulf of Mexico. He has MS, PhD degrees in Chemical Engineering from the University of Utah. Tune in to this 30-minute interview to gain insight into this industry expert’s personal views and professional experiences on how leadership challenges are similar yet different, in the world of digital transformation. Preparing the next generation workforce for the digital transformation of the Oil & Gas Industry is a critical task. The Big Crew Change of professionals hired in the 1970s and 1980s is largely over with and a new generation is taking their place. Beyond the obvious changes in technology, what other skills will the new petroleum engineer need and what new challenges will they face in the digital oilfield 2.0? Interview with: Dr. Jennifer Miskimins, Associate Professor and Associate Department Head, Petroleum Engineering Department at Colorado School of Mines. Dr. Miskimins holds BS, MS, and PhD degrees in petroleum engineering and has over 25 years of experience in the petroleum industry. Between her BS and graduate degrees, she worked for Marathon Oil Company in a variety of locations as a production engineer and supervisor. Dr. Miskimins started teaching at CSM in 2002 and was full-time until 2013 when she returned to industry. From 2013-2016, she continued to hold a part-time appointment at CSM, advising research and graduate students, while working for Barree & Associates. In 2016, she returned full-time to the university. Dr. Miskimins specializes in well completions, stimulation, hydraulic fracturing, and associated production issues. She is the founder and current Director of the Fracturing, Acidizing, Stimulation Technology (FAST) Consortium and also co-directs the Center for Earth Materials, Mechanics, and Characterization (CEMMC). Her research interest focus on the optimization of stimulation treatments and the importance of such on associated recovery efficiencies. Dr. Miskimins served as the first Completions Technical Director on the SPE International Board of Directors from 2016-2018. She was an SPE Distinguished Lecturer in 2010-2011 and 2013-2014 on hydraulic fracturing in unconventional reservoirs. Dr. Miskimins serves on a variety of conference organizing committees, including the SPE Hydraulic Fracturing Technical Conference and Exhibition, and as a technical editor for various journals. She is a registered Professional Engineer in the State of Colorado (License #36193). Tune in to this 30-minute interview to gain insight into this industry expert’s personal views and professional experiences on how soft competencies play a significant role in the new work place environment. A discussion of the growth and augmentation of work experience (time effect), the career socio-economic, cultural and regional impact (place effect), relates achieving career success to that of progression in human capabilities (people effect). Success can be measured in many different ways, and by a variety of criteria such as educational achievement, wealth, private lifestyle, family and marriage, career achievement, etc. But whether there is an absolute and universal definition or benchmark for success, soft competencies have emerged as universally accepted essential ingredients for achieving success in many aspects of our private and professional lives. The discussion will include clear evidence on how national and international professional societies, government organizations, and universities worldwide are rushing to include soft competencies in their programs to produce a new generation of work force that can achieve rapid career success in the new competitive and demanding workplace environment. Dr. Behrooz Fattahi holds Ph.D. degrees in Aerospace Engineering and in Mechanical Engineering from Iowa State University. After 37 years of working in the industry, he retired from Aera Energy LLC, an affiliate of Royal Dutch Shell and ExxonMobil companies in 2014. He was the Heavy Oil Development Coordinator at Aera, and in his last position as the Learning Advisor, he taught internal company technical courses including topics on reservoir engineering and enhanced oil recovery. Prior to joining the oil industry, he conducted research for the National Aeronautics and Space Administration, and the National Science Foundation, and taught a variety of courses in fluid dynamics and solid mechanics at Iowa State University. He joined the petroleum industry in 1977 by joining Shell International. Dr. Fattahi is a past member of the American Institute of Aeronautics and Astronautics, and American Association of University Professors. He served as the Executive Editor of the SPE Reservoir Evaluation and Engineering Journal, and on the board of the Society of Petroleum Engineers International (SPE) as the Director of the Western North America Region, President of SPE Americas Inc., SPE’s Vice President-Finance, and SPE Foundation Vice President. He served as a member of the United States National Petroleum Council. Dr. Fattahi is the recipient of AIME/SPE’s DeGolyer Medal for Distinguished Service to SPE, the profession of engineering and geology, and to the petroleum industry; AIME’s 2016 Presidential Citation, and is recognized by SPE as a Distinguished Member, “A Peer Apart,” and AIME/SPE’s Honorary Member. He is a 2018-2019 SPE Distinguished Lecturer. Dr. Fattahi served as the Chairman of the Board, and the 2010 President of SPE International. He was the 2014 President of the American Institute of Mining, Metallurgical and Petroleum Engineers, AIME. He is now the President of the EnerTrain Institute, providing petroleum technical training and consulting internationally. With the 2018 update to PRMS, the evolution of this important document continues with clarifications of existing terms and concepts as well as introductions of new terms. One constant has been the requirement of “commerciality” as an element of reserves. To ensure PRMS users distinguish “commercial” from “economic”, this online training course explains both terms. Also, related terms, like “economic limit”, are explained along with some FAQs on economic topics. Mr. Sidle is an independent consultant serving training provider PetroSkills, software provider Aucerna and other oil and gas industry clients. 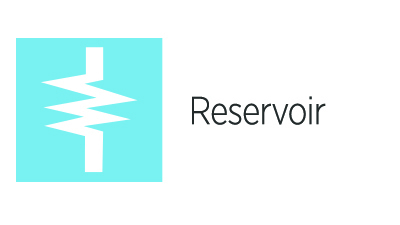 His industry experience, including 35 years with Shell Oil Company/Royal Dutch Shell, has primarily been in reservoir engineering and economics with a focus on reserves estimation. Rod is a member of the Society of Petroleum Evaluation Engineers (SPEE), where he is currently the Chair of the Reserves Definition Committee, and a former member of the Board of Directors. He is also a member of SPE and previously served as SPE Distinguished Lecturer and member of the SPE Oil and Gas Reserves Committee (OGRC). Since retiring from Shell, Rod has worked as a lecturer on project evaluation at Texas A&M University in the Petroleum Engineering Department; a Director of Reserves at Occidental Oil and Gas Corporation; and the Reserves Manager for Sheridan Production Company, a privately funded oil and gas producer. He has co-authored seven SPE papers, primarily on reserves related topics. .1 CEUs and 1 PDHs offered. A new term, Total Resource Recovery (TRR), is introduced in 2018 PRMS to complement another previously used resource potential related term, Estimated Ultimate Recovery (EUR). The [presentation/talk/slide show] defines both terms and a new related term, Technical Forecast, to explain their meaning, use and the differences between these terms. The PRMS provides a framework for classifying and categorizing hydrocarbon resources. Understanding the PRMS and correctly applying the concepts can sometimes be challenging. In this series, examples are presented to illustrate proper interpretations of principles, terms, and concepts. New examples will be added as they are developed and produced. Lost circulation is the most troublesome and costly problem in the drilling operations, cost of material, non productive and lost rig time and lost holes amounts for more than 2,000 M$/year. Lost circulation can be categorized into induced losses, and losses occurring in naturally fractured formation. Although some progress using different lost circulation materials and different placement techniques has been done; curing losses is still an art and not a science. This presentation will cover the lost circulation challenges during the drilling, cementing and the consequences on the long term integrity of the well; and the solutions related to preventing the losses to occur as well as the mitigation measures to combat the losses when they happen. In addition newly developed solutions, techniques and diagnostic tool to mitigate lost circulation will be presented. Mr. Taoutaou manages the global development of the well integrity cementing domain strategy, providing optimal well integrity cementing solutions for clients. Through his 21 years in the oil and gas industry, he has held various positions in the North Sea region, the Middle East and Asia. He has authored more than 46 international journal and conference papers, he is the holder of six patents and was the recipient of the SPE 2014 Asia Pacific Regional Technical Award in Drilling Engineering. 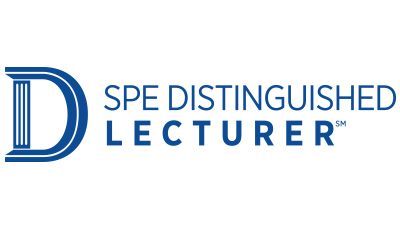 Salim Served as the SPE Distinguished Lecturer for the 2017-2018 season. He received a master’s degree in mechanical engineering from Guelma University, Algeria. ​When developing new fields, O&G companies may face many challenges regarding production and flow assurance. It is common that further investigation and R&D efforts are required and, as a result of this activity, new models to represent those new problems are developed. A natural way forward after experimental investigation and modeling activities is the implementation of such models in simulators, to ultimately be used for design and troubleshooting. However, commercial tools are generally “black-boxes” and do not provide the necessary customization flexibility to the end user, which prohibits them from testing new models within a reasonable timeframe. When developing new fields, O&G companies may face many challenges regarding production and flow assurance. It is common that further investigation and R&D efforts are required and, as a result of this activity, new models to represent those new problems are developed. A natural way forward after experimental investigation and modeling activities is the implementation of such models in simulators, to ultimately be used for design and troubleshooting. However, commercial tools are generally “black-boxes” and do not provide the necessary customization flexibility to the end user, which prohibits them from testing new models within a reasonable timeframe. In that light, this presentation will focus on a new framework that enables expert users to implement new models over a base 1D multiphase flow solver through its dedicated plug-in architecture. As an example of this framework, the implementation of hydrate formation, transport and agglomeration models and how other flow assurance problems such corrosion, erosion, wax deposition can be tackled using its current modeling capabilities, will be presented. Mr. Girardi has a Bachelor’s Degree in Mechatronics Engineering and a Master’s Degree in Mechanical Engineering, both from the University of Sao Paulo in Brazil and Petroleum Engineer Degree at PUC-Rio. Vinicius’ experience spans over 10 years in the use of simulation for engineering applications, ranging from 1D multiphase flow to reservoir modeling. Vinicius has worked at ESSS since 2011 and has fostered partnerships between Oil & Gas companies, Universities, Research institutions and ESSS in order to develop R&D projects related to simulation and new software technologies.